Life’s full of surprises. There are the ones you are planning for yourself and then there are those that simply happen. Most of these surprises in my life are of the second type, because I’m pretty bad at planning and bad at keeping deadlines. I organized most of what’s happening in my small cosmos around the fact that I’m sluggish most of the time. Writing a blog that asks for more than one action to be of interest is in every effect exhausting for a person like me. But my love for drawing, pencils and the internet keep me going and giving input and thoughts into the thriving pencils and pens community. On a side note, I have unfortunately more than one hobby (don’t like that word). My main interest (don’t be shocked) is music. Especially electronic music and more precisely my modular synth. Most of the last two months were spent wiggling (that’s the word that describes the action of making music with your modular). Another really interesting trait of mine is that I get easily bored, so here I’m back again to drawing and reviewing pencils. Did you want to hear all of this? Is that a good introduction to a pencil review? Yes, as it shows a glimpse of the person behind the drawing, the “pencil-wielder”. So what have I been using lately? The MONGOL. It first appeared on my radar as I was searching through some of those pencil databases. It struck me with its quite unique look: vintage, the kind of vintage you’d buy, as it is kind of timeless. So I got hold of two of the old boxes of “1”‘s and “2”‘s. The boxes alone are a beautiful sight. It’s the kind of graphics and typos you see copied on a lot of modern products that pretend to be vintage. The pencils I have are not of the very best condition: the lacquer has cracks, the erasers are hard and mostly unusable (but that is unavoidable with old pencils I think) and some (hopefully not more) of the leads are broken, so the pencils might have been dropped at some time. So beside these little problems, how well do they perform? As I said it is a beautiful pencil. The yellow lacquer, the beautiful mix of black fonts, the bronze ferrule. It is advertised as a the “Business” pencil, so it does not pretend to be a drawing pencil, but is mainly aimed at a writing clientele. Then there is the “diamond star” that refers to the special lead used here. The #1 box says: “Woodclinched Complastic Lead”. This might refer to the use of a synthetic binder. But hey, I have strictly no idea, and am not that eager to dig into the technical part. It’s always a pleasure to draw with a pencil that has a history. 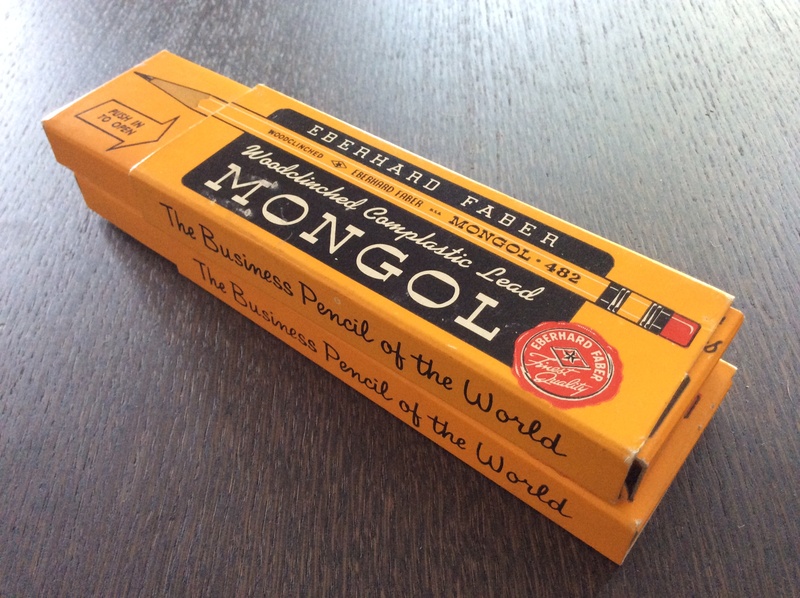 The Mongol certainly is one of the most successful brands throughout the years. As this article (penciltalk) from 2007 suggests they are still being produced today. The ones I have are of the old kind. I’m not sure how old exactly, but as always this is not really interesting in my perspective of things. So my first attempts at sketching were not really conclusive. As a matter of fact I was not feeling creative. 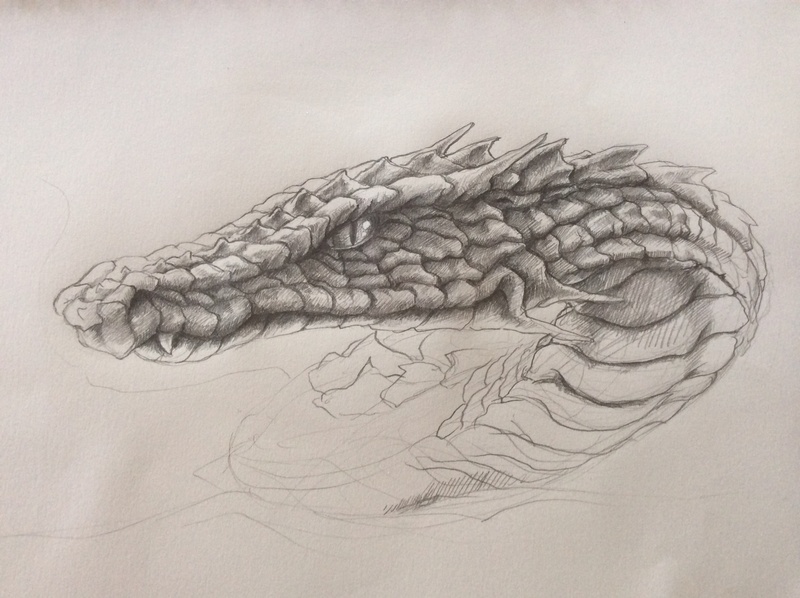 So I made another attempt (yes, another dragon) and I really began to feel the potential of the pencil. Surprisingly the Mongol is not a sketching pencil in my hands, but one of those I prefer using as a detailing pencil. As soon as I try to throw some crosshatching I literally lose the feel for the pencil. It really is a pencil that wants to be controlled, that performs extremely well with delicate handling. It’s not a very dark nor soft. The #2 really feels like a standard HB, but with more finesse. It is difficult to describe, as the word stickiness doesn’t really apply. The Mongol is really light and refuses to produce a too dark line. I have often problems with pencils that are too light as I compensate this lightness with a cramped wrist and that normally ends in pain… The Mongol doesn’t do that and that is another surprise. Somehow the lead has a hint of softness or stickiness that compensates the lightness. Another thing I have observed is that I have to sharpen it very often, but not because it dulls rapidly, but because I feel most comfortable drawing with it when it has a nice sharp point. It really is a surprising pencil. I was under the impression when I first saw it, that it would be a rude (in a good way), smudgy and prone for sketching pencil, perhaps due to its name or coloring, and it turns out to be a really delicate pencil that needs effort to appreciate. 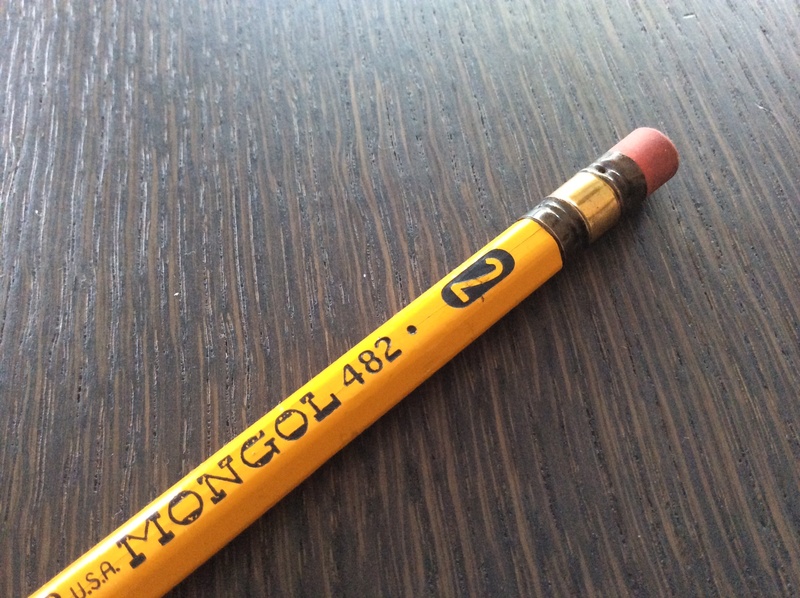 The more I use the Mongol, the more I appreciate its fine-tuning, and we are talking here about a mass produced pencil. Give it a try if you happen to come by a couple of these. 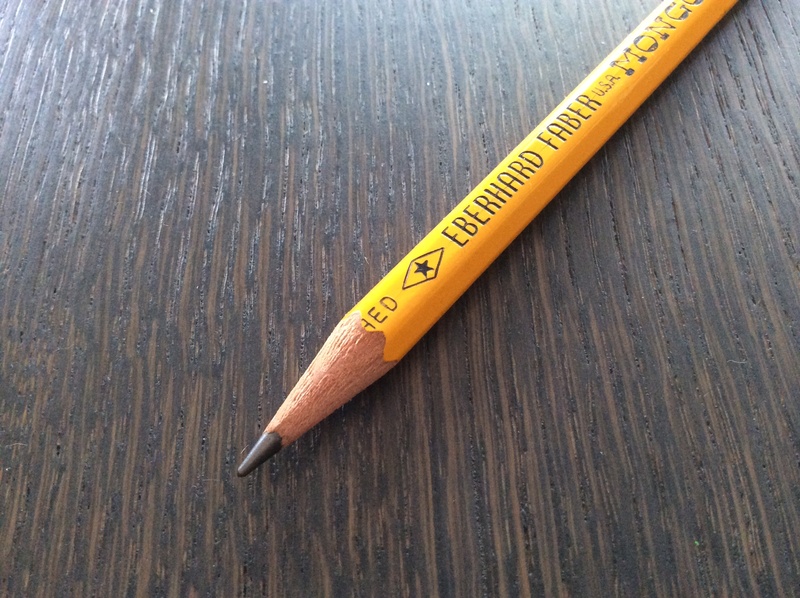 Thanks for sharing your varied interests as well as this fabulous pencil and your great drawings. Keep being diverse. Thank you! This sure helps going on! 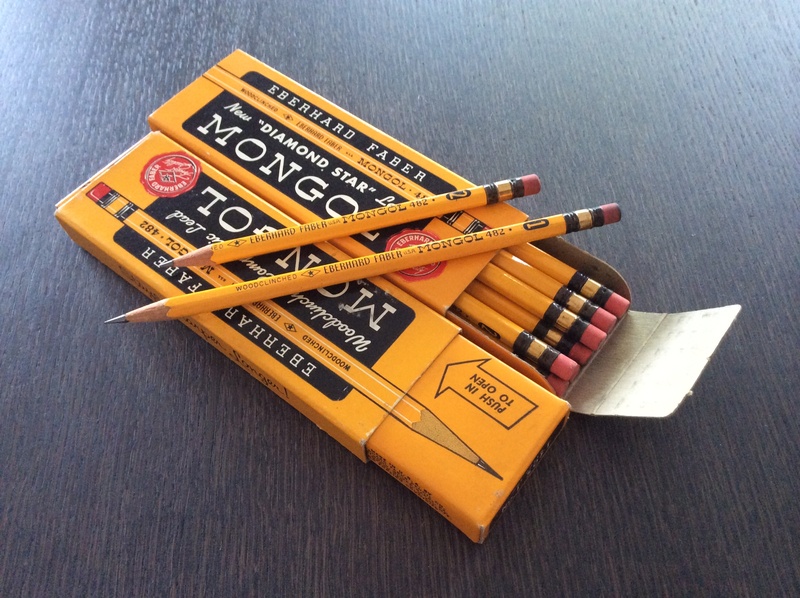 I still have a preference for vintage Ticonderogas but the vintage Mongol i agree works better when sharply pointed – it just looks so damn good. Great drawings BTW. bende dört adet 1980 yılına ait mongol 482 2 kurşun kalem var.kutusu dahil. 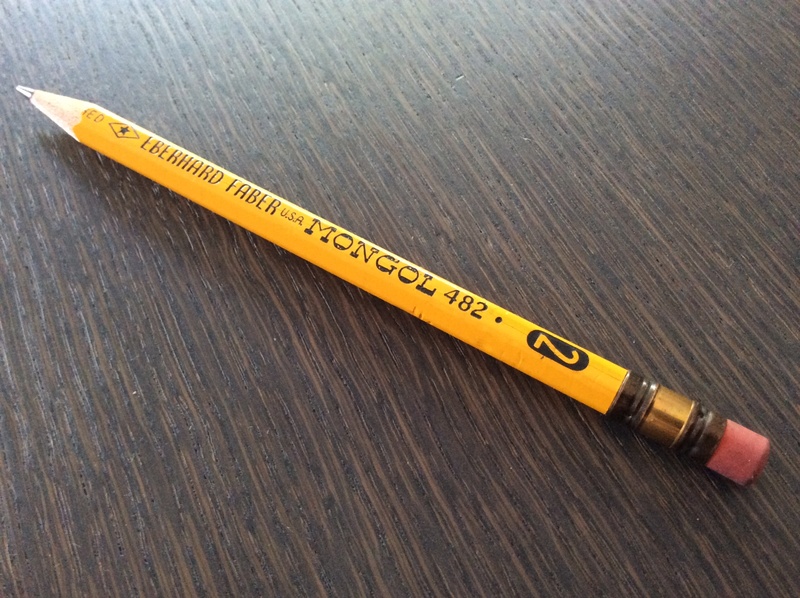 Googlish:”I have four of 482 in 1980 , including 2 pencil var.kutu of Mongolia .” That’s nice to hear, they are really great!